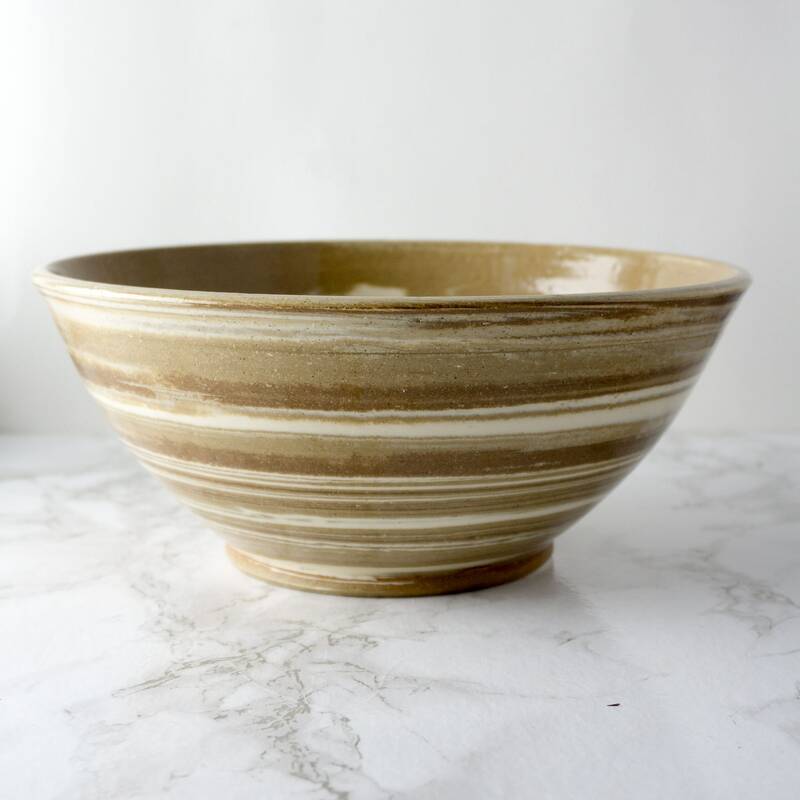 This wheel-thrown stoneware ceramic footed bowl features swirled brown and white clay, with clear glaze. 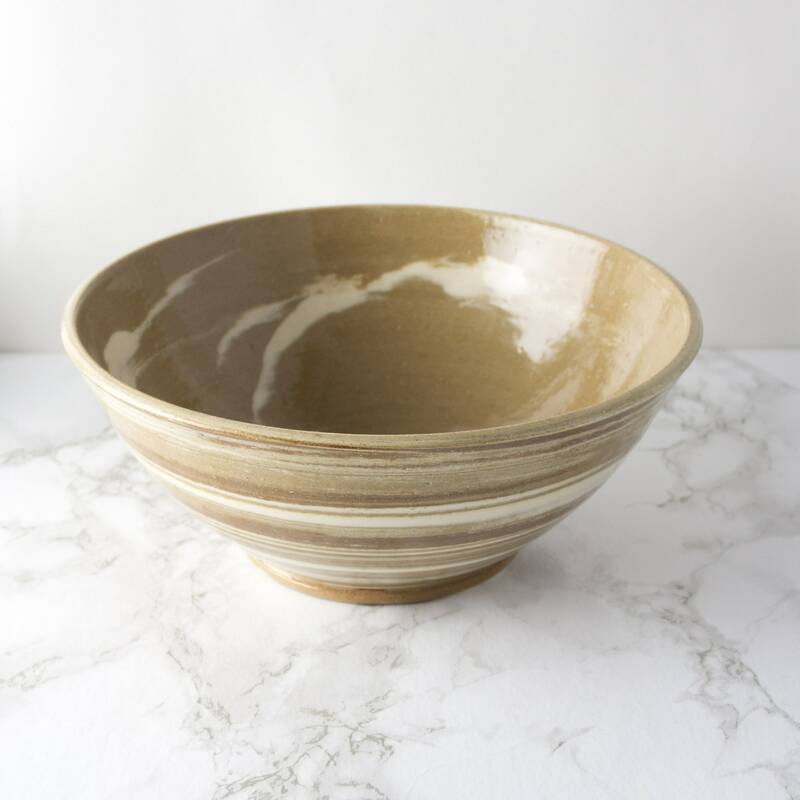 Generously sized, this modern ceramic bowl is perfect for use as a serving bowl, and a decorative vessel, or as part of your table centerpiece. It makes a great hostess gift, Mother's Day gift, or wedding gift. 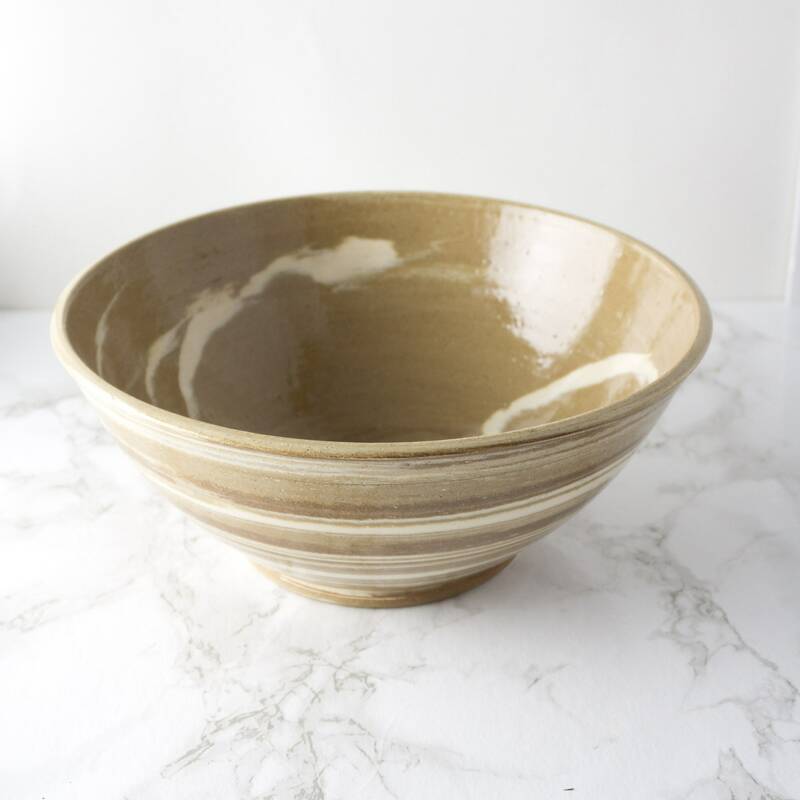 Because each piece is made by hand; expect variations in glaze. 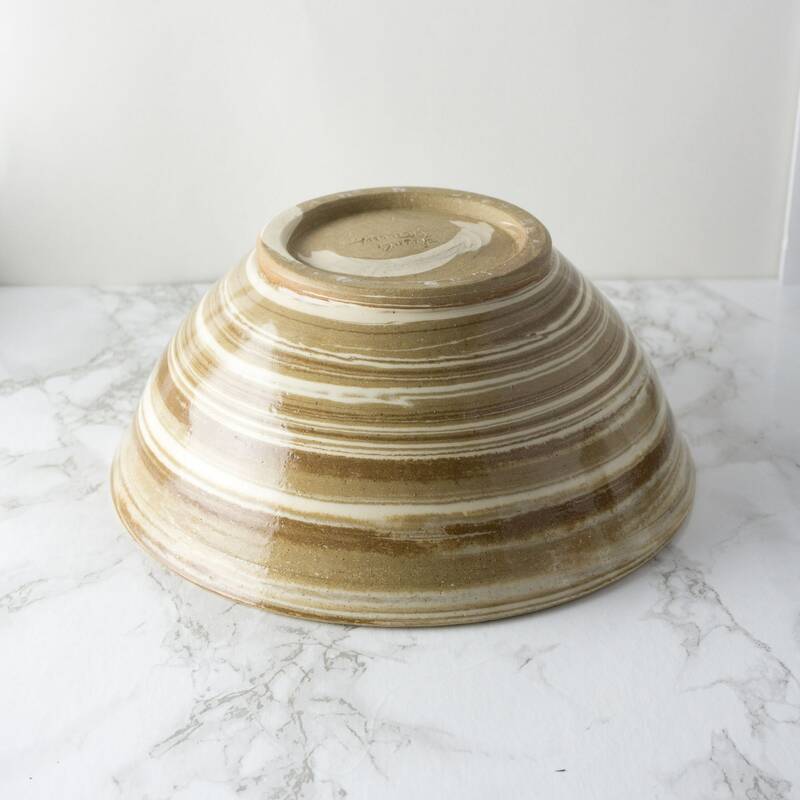 This listing is for one bowl and it is READY TO SHIP. To make each piece, I weigh out a lump of clay and knead it into a smooth ball. Next, I throw the basic bowl shape using a potter’s wheel. Then I trim the bottom edge with sharp tools. I fire the bowl once, glaze it, and fire it a second time.